A fresh-stance on fitness. We’re here to make it easy for people to do themselves some good (whilst making it fun too). Fitness should be about you, as an individual. We’ll never ask you to conform to a class culture or a regimen that doesn’t work for you. We bridge the gap between military and boutique training; where professional boxing meets Bootcamp HIIT. We’re the new kids on the block and we’re looking to start our own revolution and change your approach to fitness and health forever. Bespoke one to one training, tailored to your specific goals and targets. 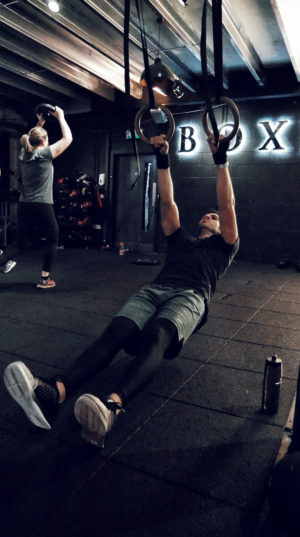 A fusion of boxing and high-intensity circuit training, via our innovative BOXR Bootcamp Series. Nutrition is the foundation to optimal health and performance. We can help build yours! 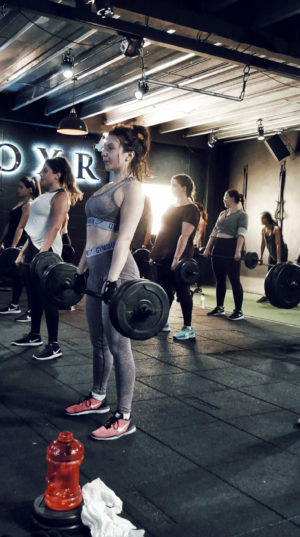 Our group classes are intense full body workouts paired with technical boxing/functional movements created for all abilities and fitness levels. All welcome! With carefully curated soundtracks from the best of hip-hop, grime and house mashups bumping through our premium quality sound system, and lighting that hits you in all the right places. You know it’s on when the red hue lights hit-ya! Our instructors vary from world level fighters, professional athletes to the city’s most in-demand group fitness instructors. Dedicated, passionate, intelligent: welcome to bespoke personal training. Proven to achieve results faster through support, attention to technique and insight into the latest training methods. From elite sport to physical therapy, our trainers bring their experience to help you reach your goals. Access the expertise you need, from weight training and muscle activation to pre and post-natal fitness. Nutrition is arguably the most critical aspect of fitness: BOXR Bites Kitchen (BBK) was created to help you get the most out of your training. A selection of snacks, shakes and freshly-pressed juices are available from our made-to-order shake bar at our club. Freshly made, nutritionally formulated, and packed with flavor, BOXR Bites Kitchen provides a delicious and realistic way to reach your goals. We'll be more than happy to assist you with any questions or special requirements you may have, just drop us an email or give us a call!